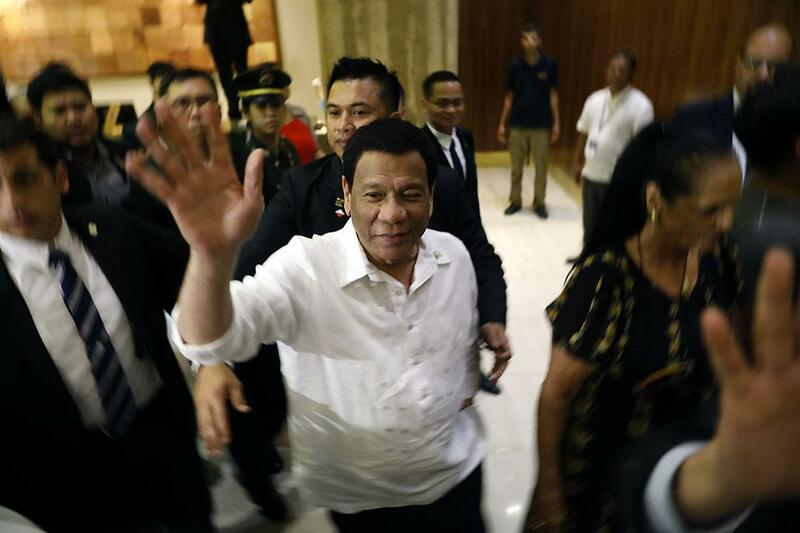 Philippine President Rodrigo Duterte has been identified as an admirer of war criminal Adolf Hitler, an unwanted guest, among others, by a top Israeli newspaper. The scathing criticisms vs. Duterte were published in an editorial by Haaretz newspaper coinciding with Duterte's visit to Israel. Duterte apologized for his remarks thru his spokesperson then, Ernesto Abella, who maintained that the President is willing to kill as much as three million “criminals”. “Israel has never been choosy in its international relations. In fact, it has an impressive record of relations with dubious regimes and leaders, and its weapons sales to the very worst regimes have been previously reported. Under the shadow of Duterte’s visit, Israel once again proves it's willing to overlook leaders' human rights violations for the sake of opportunities for arms deals and defense contracts,” the editorial read. “Under the shadow of Duterte’s visit, Israel must disclose the nature and scope of its arms trade with countries accused of human rights violations. The president of the Philippines isn’t a wanted guest here, and his visit is a shameful diplomatic stain,” the editorial added. The editorial viewed Israel's decision to “roll out the red carpet” for Duterte as an something done in exchange for a mess of pottage which includes abstaining or supporting Israel in a few UN votes, thus giving Duterte an absolution for his anti-Semitic remarks. “Duterte has been accused of human rights violations in his own country under the cover of his war on drugs and organized crime, which has presumably included ‘social cleansing' operations and the murder of thousands of people without a trial. The man who compared himself to Hitler, boasting that he’d be happy to slaughter each and every one of the millions of drug addicts in the Philippines, will, as is usual on such visits, tour the Yad Vashem Holocaust remembrance center, and also a memorial in honor of Filipinos who saved Jews during the Holocaust,” the editorial read. “It’s hard to say that Duterte, a friend of United States President Donald Trump who has also been welcomed in other countries, is worse than others with whom Israel has maintained official or secret ties. Yet this time, too, the government doesn’t seem to have agonized over the question of whether Israel should go out of its way to host a man like Duterte with all the trappings of respect,” it added. Another newspaper, the Times of Israel, also protested Duterte's visit, citing his comments apparently praising Hitler and the International Criminal Court preeliminary examination on Duterte in stemming from the petition filed by lawyer Jude Sabio, counsel of self-confessed Davao Death Squad hitman Edgar Matobato, in May 2017, over the drug war related deaths which has reached at least 20,000 based on records of local and international rights groups.